This will be the beginning of a series of solo episodes where I will release in-depth training and guidance on a specific topic that I’ve received questions on. 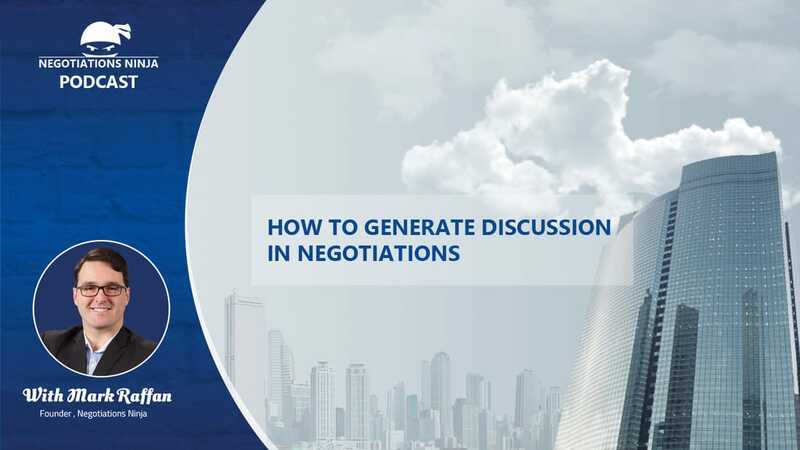 ​How do you generate discussion in a negotiation so that the other party begins to talk about their business, opportunities, their needs, and their wants? I’m dedicating an entire episode to how to extract information from the other party so that you can learn more about them and then use that information as leverage to get what you need from the negotiation later on.